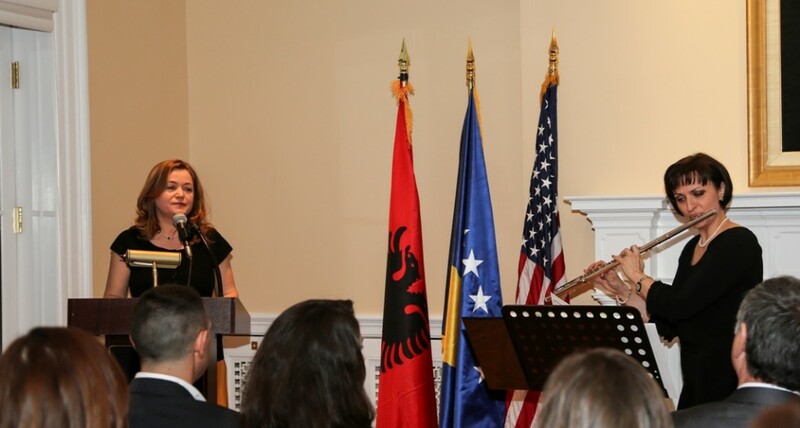 Last week, the Kosovar Albanian community in Washington D.C. organized a unique event to mark Kosovo’s sixth anniversary of independence. Guests had the chance to listen to music and poetry by Kosovar composers and authors, sample culinary specialties and wine from Kosovo, learn fun facts and take a virtual tour of the country’s beautiful landscape through a slideshow of select photographs. 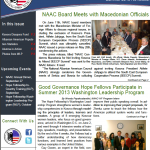 The Albanian community in Washington D.C. consists mainly of young professionals who work in various multilateral organizations such as the World Bank Group, the International Monetary Fund, U.S. institutions as well as renowned non profit organizations and consulting firms in the American capital. This year, a group decided to put together an event that brought together over 70 Albanian, American and international professionals, including few dignitaries, for a cultural evening and networking to celebrate Kosovo’s statehood. The event took place at the impressive house of the El-Hibri Charitable Foundation, which runs the One World Youth Project that links schools around the world and promotes global learning. 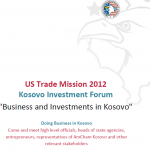 This project also collaborates with the University of Prishtina and several middle and high schools in Kosovo. The evening kicked off with a remarkable performance by flautist Klodina Kabashi Morina, who played a piece of the Kosovar composer Rauf Dhomi. Suzana Frashëri, a legal professional working in Washington, recited two poems by Kosovar authors Mark Krasniqi and Flora Brovina and an English translation of the poems was also shown on the screen. The guests were later greeted virtually through a video message by the students of the middle school “Rrezor” in Malisheva, Kosovo. One corner displayed the work of Ferka Shala Rothschild, who runs a successful photography studio and business. The guests were treated to wine from the Kosovo winery Stone Castle and sampled the Kosovo culinary specialty flija. 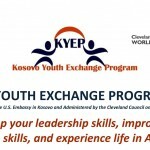 The event also created buzz in social media as guests were encouraged to post and tweet fun facts about Kosovo, which they received at the door. Click HERE to see more event photos taken by Ferka Rothchild and Laura Agosta.